Share data easily between Sugar and your favorite Google apps. 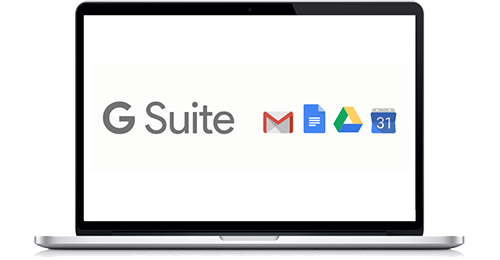 Leverage standard and custom integrations for G Suite to meet your specific business needs, be it sales force automation, marketing automation, customer support, or social CRM and collaboration. Sugar comes with a wide range of out-of-the-box G Suite integrations. Easily integrate Sugar with Gmail, Google Docs, Google Calendar, Google Contacts, and Android mobile devices. Sugar Administrators can also use Sugar Studio for deeper configuration and integration. Archive your customer emails from your Gmail account in Accounts, Contacts, Leads, Opportunities, or Cases modules. Use the Sugar Email Archiving feature to attach Gmail messages and Google Calendar meetings to Contact records. Sugar Administrators can set up Sugar to use Gmail as the outgoing mail server. Sugar supports the iCalendar standard for Calendar and Project modules. Synchronize your Google Calendar and Sugar Calendar. Update your Sugar Meetings, Calls, and Tasks automatically in your Google applications. Save documents from Sugar directly into Google Drive. Relate existing Google Docs files to Sugar records. Search functionality within Sugar searches your Google Drive and displays your Google Docs files as well. Install and use the native SugarCRM Mobile app on your favorite Android phone or tablet. SugarCRM Mobile App gives you access to your customer data whether you're in a meeting with your customer, in an airport, or working remotely. Sugar's Google Maps integration allows for fully-functional maps. Users can get Google location information and directions right within the SugarCRM Mobile app or desktop client. Sugar Administrators can use Sugar Studio to add the Google Maps integration to any standard or custom Sugar Modules. For more options, you can also explore the published Google applications and Sugar integrations on SugarExchange or check out SugarForge to take advantage of Sugar's open software architecture. Choose from our strong global community of developers and partners to build custom solutions that suit your specific business needs.